The Latin Way » Why Register a .LAT? You identify yourself directly with Latinos. 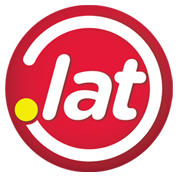 .LAT is a short, intuitive and easy-to-remember domain. This new label identifies all those internet projects with a Latino origin, or trying to connect or communicate with Latinos. By being a new gLTD, you will have a higher opportunity to choose the domain you really want, providing more visibility to your name, brand or project. The .LAT domain opens new opportunities to all of those wanting to start a project directed to the Latino market around the world. Oriented towards an attractive, open and growing market. Latinos are an emerging market with high growth potential around the world. The entrepreneurial profile of the latest Latino generations has helped them increase their financial capacity and purchasing power. It is a domain that identifies you and other Latinos around the world. By being on the Internet with a .LAT domain, you give your idea, project and business, a seal of identity. It strengthens the effectiveness of your communication, as it directly communicates who you are, making you easily recognizable. With .LAT you get Internet presence around the world, displaying your Latino identity with pride. By 2013 Latin America will have approximately 255 million Internet users, representing 43% of the population. Latinos are the second largest ethnic group in the United States, with approximately 50 million people, reaching 17% of the country’s total population. The use of Internet in Latin America increases at a pace of 13% annually, higher than any other region around the world. In 2012, 78% of Latin Americans in the United States were connected to the Internet. Taking 2009 as a reference, where it had grown 14% in just three years. By September 2013, Spanish was by far the second most spoken language in the United States with over 37 million speakers. Additionally, Spanish is the most spoken language by non-Latinos in the United States, after English.